I loved animal crackers as a child. My mom would frequently buy them for me as a treat. I would play with them, bite a head off, play with them some more, dismember a bear… It sounds much more gruesome than it is, BUT admit it – you did it too! I wanted my children to experience the same joy of eating animal crackers as I did, which is why I developed this gluten free recipe. 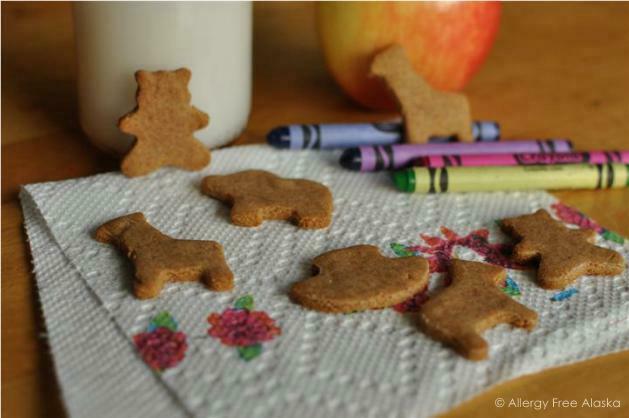 These Paleo Animal Crackers are so much healthier than the ones I used to eat as a kid. The almond and coconut flours are packed with protein, healthy fats, and fiber. Really, for a snacking cookie (err… cracker), you can’t get much healthier than this. I love watching my girls eat these animal crackers. Snack time regularly becomes an all out giggle-fest! Course, you don’t have to be a kid to appreciate them. Animal crackers were meant to satisfy the kid in all of us, regardless of age. This dough is really easy to work with. It rolls out like a dream and holds its shape really well, even when cut into smaller shapes. I like to use this small frosting spatula to assist in maneuvering the cutouts onto the baking sheet. 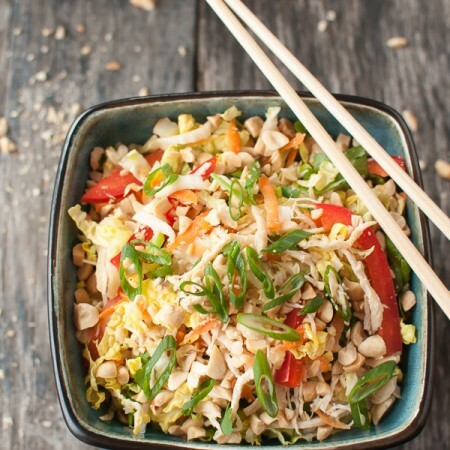 This recipe is strictly written as a grain free recipe using almond and coconut flours. Substituting sunflower seed flour for the almond flour may possibly work for a nut-free dough; however, I have not tried it. I do not recommend substituting any other flours. Flax eggs or “gel” may work as a substitution for the eggs, but again, I have not tried it. If you do try it, please come back and share your results! Lots of love from my kitchen to yours! In a large mixing bowl, whisk together the almond flour, coconut flour, cinnamon, baking powder, baking soda, sea salt and nutmeg. Cut in coconut oil until mixture resembles fine coarse crumbs. Add in the eggs, runny honey, and vanilla extract; mix well and then let the dough rest for about a minute (this gives the coconut flour time to soak up moisture). Mix again for 30 seconds. Divide the dough into two balls. Wrap one of the balls securely with plastic wrap (so it doesn't dry out) and place the other ball of dough onto a large piece of parchment paper. Flatten the dough into a round disk with your hands, and then cover it with another large piece of parchment paper. Use a rolling pin to evenly roll the dough until it is 1/8 inch thick. Gently peel back the top sheet of parchment paper and cut the dough into desired shapes using cookie cutters (I have this set, but I think these or these look awesome too), or a pizza cutter. If you are cutting the dough into large cracker shapes, score each cracker with a fork 2-3 times. 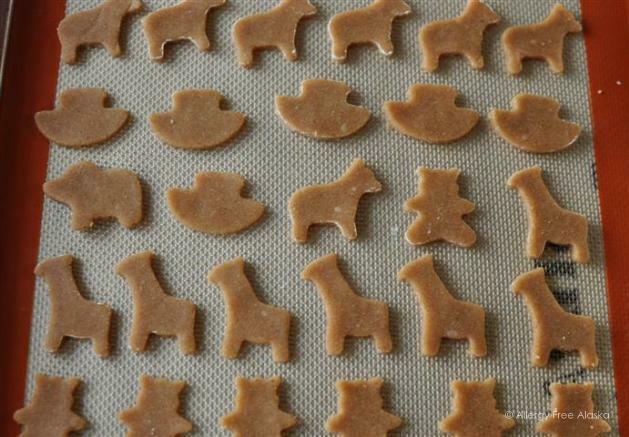 Carefully transfer the crackers onto a parchment or silicone lined baking sheet. Repeat with the second half of cracker dough. Bake for 7-10 minutes, or until the crackers are golden brown on the bottom. Allow the crackers to fully cool. These crackers do not get really crunchy; however, the longer they bake the crunchier they become (just be very careful not to burn them). I store my crackers open to the air (it helps them keep what crispiness they have) instead of in an airtight container. The dough can be refrigerated (just make sure the balls of dough are securely wrapped in plastic wrap), but must be at room temperature prior to rolling. To avoid the dough sticking to the cookie cutters, simply dip the tips of the cookie cutters into tapioca starch before cutting your shapes. Repeat as needed. This recipe is linked to Teach Me Tuesday, Fat Tuesday, Slightly Indulgent Tuesday, Allergy Free Wednesday, Frugal Day Sustainable Ways, Thank Your Body Thursday, Tasty Traditions, Full Plate Thursday, Simple Lives Thursday and Pennywise Platter. 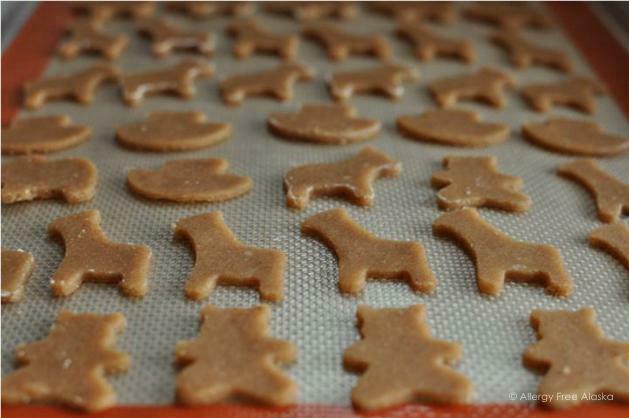 Thanks so much for this recipe, now I just need some cookie cutters! I hope you enjoy them, Cassidy! These are such cute crackers. My two and three year old will love them, my husband will too! This recipe may need to become Christmas cookies, just change the spices a little. Thank you, Joanne! And I think these would be great Christmas cookies! Great idea! How cute are these?! I was just reminiscing the other day about the animal crackers of my childhood. Did your mother also buy those little boxes with the shoelace handle? They were like a tiny, child-sized purse (and one was my reward for being good at the grocery store). Of course, I bit the heads off (and then each leg, and finally the body). HA HA! YES – the exact ones! I loved those! I used to get them as a reward too… too funny. 😉 Thanks for sharing, Eileen!! Yess!! Those animal crackers were my favorite! Perfect timing…I just stopped buying gluten free animal crackers from the store because the first ingredient is Sugar, but my 3 year old asks for them daily. She can’t tolerate coconut though…any suggestions? Happy to report back my results. 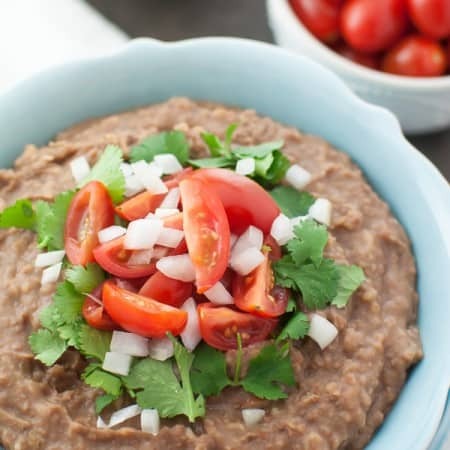 Love your recipes btw, you are my go-to gal for healthy meals! These are so cute Megan! Awesome recipe! I found you through Fat Tuesday. I’d love to try these for my kiddos. Pinned for later! Thanks! Now these treats my dear Megan are what I call EPIC!!! 🙂 SOOOO making these with my kids after the trick-or-treating this week! Awe, Laura! LOL! 🙂 Thank you, my dear! Please let me know how you and the kiddos like them! These look and sound so good! 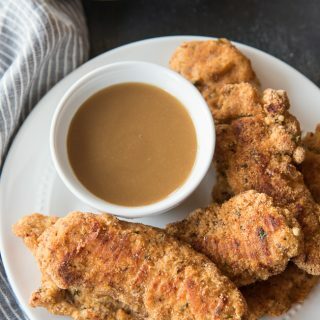 I love that the ingredients are so simple… I have all the ingredients on hand and I think I will try this with my kiddos tomorrow! My husband and I just love animal crackers, we keep a little jar of them out all the time. I can’t wait to try your recipe! Thank you so much for sharing with Full Plate Thursday and hope you have a great weekend! HA HA!! No, Shirley, there’s NOTHING wrong with that!! They are so fun and whimsical — and tend to bring out the kid in all of us! Thank you so much for sharing, Shirley! What a great surprise to wake up to! These look amazing. Can you explain what runny honey is? Great question, Lesa! Runny honey is… well, it’s runny honey. I just use the term “runny” because some honey is crystallized or solidified (especially some of the raw ones). If your honey is hard, simply warm it to make it “runny.” Otherwise, you have nothing to worry about! 😉 Thank you for asking! This look so adorable! Do they taste similar to “real” animal crackers (not the same, but *maybe* similar? haha) Thanks! These look great! How long do they last after they are baked? I was hoping they’d last a week or so, so that I only have to bake them every other week for our Friday snack at our homeschooling co-op–but maybe that’s way too long. I would say they’d last tops 2-4 days at room temp. I’m thinking they might freeze okay, though. I haven’t tried it, but you might think about giving it a go? These were yummy! We did findthat we wanted a little more sweetness. So before we put them in the oven we brushed them with some raw honey. Yum! What a great idea, Lindsay! Thanks!